Creating can be a chore that can and should be done through inspirational lows and disillusionment. No matter what your genre is, writing and meditating should be done religiously as one would with any craft they are trying to develop. Even if you are sore or tired or angry, successful people hit the trail, the ice and the pathway to hone their craft. It is important to keep at it no matter what obstacles come your way. There isn’t anything particularly magical about it. Most people have had a spiritual experience. For some it is a memorable electrifying experience. It is one that one remembers forever. By combining meditation before writing, one can increase one’s ability to create. Likewise, by writing, one can develop one’s ability to experience a new level of spirituality. The moment for action is now to find that spark of creativity. It takes devotion to your craft to get your motivation going. Meditation is following your breath in and out not considering anything else in your mind. It is grounding yourself with your feet on the ground and your seat in your chair sitting erect and tall to the cosmos. Take the time to write about what you are devoted to – what your purpose in life is. That is the key to knowing what you are all about. Writing is one of the most powerful points of focus. Writing down something makes it clear and more likely to happen as in affirmations. “Through writing, we generate the power to manifest our dreams.” Write out six goals for the next year – Spirituality, Creativity, Health/Fitness and Wellness, Relationships, Financial/Job/Business, and Community. Setting situations and initiating incident, plot, characters, scenes, conflict and opposition, climax, final resolution and ending are all parts of your story. Together you can create your hero’s journey. It can start anywhere from the last 3 weeks of somebody’s life to three decades of life. It is your story. By meditating, you can create an awesome story and by risking writing, you will accomplish your goals. By using our over-stimulated senses, in a directional way, you can write about the senses more delicately and intimately. It is as if there is a heightened way of dealing with the senses. Your stories will become all that much more brilliant. That is the way with this author. He writes eloquently using many sensory attributes. It makes the reading of the book nice to read. I would recommend this book for those who would like to improve their writing. I did about half of the writing exercises and I did many of the meditations which brought me to a recognized level of understanding about writing. This is one of the best ways to write in combination with meditation. Finally remember writing is a process and journey, not a product or destination. Book: “Healing and Transformation: Moving from the Ordinary to the Extraordinary” by Eric Alsterberg, Ph. D.
This book is a combination psychological book and spiritual book. It discusses case examples and references many books. The overall encompassing message is that we, as a people, are having a spiritual experience while in human form. This message is emphasized throughout the book. I like the case examples including the ones from the author’s life. He brings insight into the spiritual life and of that entering into the New Golden Age. The author covers many life subject areas from masculinity and femininity roles, intimate relationships to parenting. Eric Alsterberg says there are no coincidences – that everything is as it should be. However, depending upon how we think positively or negatively determines what kind of world we will have. Depending upon our actions to be Christ-like or opposite also determines the kind of Earth we will live in. He speaks of listening to the inner voice, the higher self or God presence in our intuition or while we meditate. We can hear from angels, ascended masters or our guides. We will be only give so much information as we can handle. We make decisions based on what we know and sometimes information is withheld for our own benefit. Dr Alsterberg says there are many traditional methods for healing which include psychotherapy, self-help groups, twelve step tradition groups, self-help books and technologies, seminars and workshops, massage therapy, Reiki, meditation and prayer. He uses hypnotherapy in his practice and sometimes deals with past-life regression. He believes that many issues that we currently deal with may have their karmic beginnings in past lives. This is something we need to deal with. Dr. Alsterberg mentions some of his client’s problem with abuse. In one situation, a woman kept attracting abusive partners. He concludes that “Guilt is often an attack on us for not being able to forgive ourselves.” Further forgiveness is important because God is Pure Love and has already forgiven us. Yet people struggle to forgive themselves. We need to release the negative and fear-based emotions within ourselves. Dr. Alsterberg makes his clients visualize positive and love-based emotions leaving and then coming back down a beam of light from higher dimensions and going back into the person. 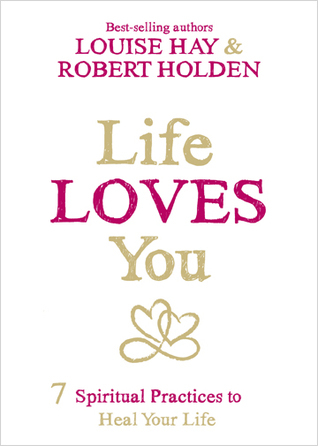 This book tries to cover many aspects of life. It is am ambitious project. It is an interesting book. Some points, I do not agree with because they have not been proved but they are minor problems with the book. You will know them when you see them. I recommend this book to those who like psychological and spiritual books. This book is a good read from the beginning stories of Iyanla’s life when she had to claim bankruptcy in her life. She had to live in a renting situation for years even after starting the “Iyanla: Fix My Life” TV series on the OWN network. After having risen from poverty to a high state of living, she was not used to this style of life. When her relationship with her husband broke down and other relationships broke down in her personal and professional life, her standard of life went downhill. She prayed to God for direction. She was happy to be living in a rental situation with limited opportunities when friends asked her when she would be moving on. She gave it some reflection over a couple of years. She had to overcome her bankruptcy situation. She had to be pre-approved for a mortgage. She found a place in need of much repair. To make a long story short, it was her friend, Oprah Winfrey, who came in with Nate Berkus and repaired it for her as a surprise. She was very grateful. Next comes the part of trusting in God. Actually, this theme carries throughout the book. Without God’s prime direction, you are missing out. It is God who provides the lessons to be learned. It is with trusting in God that he/she has your back that good things happen to you. It is through God, that you are able to listen to your intuition or your inner guidance system. Plus, if you are able to say “No” to circumstances that do not serve your better interests or desires, you will be better off. Dealing with trust in others is an interesting expression of situations that Iyanla has found herself in. She is able to tell interesting stories of people she has met on their path. Some of the stories seem so dramatic but it is only because I find the stories so heart-wrenching. Person after person, has been let down by their parents, by their spouses, by their employer or by their business. Lessons need to be learned and through the process of identifying issues affecting the small little girl or boy inside, it is necessary to deal with the past issues without getting stuck there. People make progress by believing in God and trusting their intuition. They lean into trust and make hard decisions. Iyanla even speaks of Jay, the man who fathered 34 children with 17 different women that was featured on “Iyanla, Fix My Life.” Somehow he was able to convince all these women to trust him and that he would change just for them. Finally, Iyanla speaks of trust in life. She outlines many people who were cut off before they even started. She mentions people like George Lucas who spent four years trying to sell his script for Star Wars which is now a block-buster set of movies. Then there was Michael Jordan who was cut from his high school basketball team and came to be a legend in and of himself. It took Harland David Sanders 1010 attempts to sell his secret chicken recipe before he got a bite and became Kentucky Fried Chicken fame. Walt Disney was fired from his newspaper job for lacking ideas and went into personal bankruptcy before he was able to establish the world famous Walt Disney Theme Parks. Fred Astaire after his first screen test was given a less than passing mention and was said to be able to dance a little bit. Vince Lomardi was said to have minimal football knowledge and went on to be one of the best NFL coaches. Tyler Perry was so poor he lived out of his car for six years while trying to establish himself as an actor and movie mogul. Forbes put him as the second highest earning man in 2011 and then there is J.K. Rowling who was a depressed single mother trying to make her world of Harry Potter come alive. Now she is a billionaire author. Success came to these people because they continued to try and so can you. Trust in the process of life. I would recommend this book to those willing to explore this process of life and trust. Tags: trust, self, God, others, life, Villa Nova, bankruptcy, Iyanla’s life, Oprah, Nate Berkus, God, spirit, inner guidance system, intuition, personal stories, George Lucas, Michael Jordan, Harland David Sanders, Walt Disney, Fred Astaire, Tyler Perry, JK Rowling, process, life, Course in Miracles. I feel as if the author Mariana M. Cooper or Mari has been a long lost friend of mine. We have so much in common. Her journey into the spiritual realm started back in the 1980s as did mine. She has many insights that I agree with. Some I already knew but others are written out in such a way that they make more sense. As well, many of her spiritual habits are ones that I have been doing. In the beginning of the book, Mari explains the Bull’s-eye of Energy which consists of three rings. The first is your aura which extends from your body for 50 feet or 15 meters. The second ring is the soul which extends 500 feet or 150 meters from your body in all directions. It is vast and impacts much more than you realize. Finally, the last ring is the spirit which extends indefinitely and is part of the entire universe. It is the interconnectedness of everything physical and non-physical and has no limits. Through focussed thought you are engaging the Bull’s-eye of Energy. Until you use it, is remains neutral and not in use. From there there is the energy grid or Energetic Communication System (ECS) which is a massive web of light just like a cosmic spider web which interconnects all things. This reminds me of the ever-present Internet and its capacity to be worldwide. The ECS is where we manifest, magnetize, actualize and attract our desires and intentions. It works in conjunction with your five senses of touch, smell, taste, hearing and sight. The ECS consists of your intention, your intuition, your telepathic ability, your channeling ability and your capacity to receive and perceive both physical and energetic information. The Aha! Factor is the ability to take information and make it understandable in a context from many sources. The Aha! Factor uses intuition a great deal and to understand its modern context, one only has to look towards Oprah when she gets the insight of having a conversation with someone or something finally makes sense in a new way. Your Aha! Factor uses the four clairs – clairvoyance, clairsentience, claircognizance and clairaudience. Your intuition uses signs, symbols and synchronicity. Your Infinite Self interprets all information because it uses our entire being from the energetic part of ourselves to our physical part of our life. There is so much information and good understanding in this book that it is impossible to go over each aspect in this review. It is best to get a copy of the book and read it for yourself. I highly recommend this book for people who are aware of being spiritual or are into a new age/way of thinking of enlightenment. Tags: friend, concepts, understanding, bull’s-eye, energy, aura, spirit, soul, Energetic Communication System, web, light, magnetize, manifest, actualize, attract, desires, intentions, five senses, touch, smell, hearing, sight, smell, intuition, telepathic, channeling, Ah Ha! Facotr, clairaudience, clairvoyance, clairsentience, claircognizance, signs, symbols, synchronicity, spiritual, new-age, enlightenment. It goes without saying that she knows a lot of people. She drops names easily but it is because of her hard work at her position that she is able to do so. She was influential in working with Gloria Steinem at Ms magazine and also with the O magazine for Oprah. The book reads like an extended magazine fashioned with various inset topic headings and also the use of colour inside the book and subheadings on the title page. This only makes sense based on the industry she has worked in for a very long period of time. Tags: Cathie Black, magazine, newspaper, Hearst, Gannet, USA Today. Mss, Cosmo, Gloria Steinem, Oprah Winfrey, advertising, marketing, president, CEO, common sense, advice, corporate ladder, magazine look and feel, 360 degree life, instincts, change, passion. This book will take you a year to read; at least, it should. 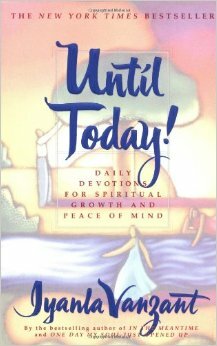 It is daily devotional book dated each day for an entire year. I read the book at a number of sittings because I did not know if I could wait a year to read all the amazing insights that Iyanla has to offer. Iyanla’s insights are so incredible and in depth. Her wisdom is of sage advice. 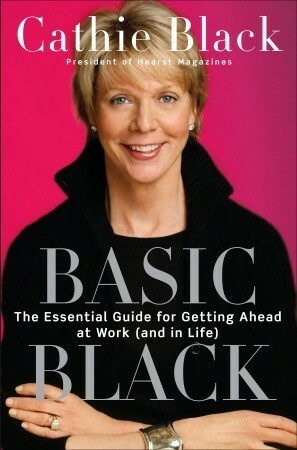 I enjoyed reading her book and think it would be very good to focus on one aspect each day. Each month has a different focus. From January to December, the devotee is supposed to focus on different elements such as the following: life, love, awareness, acknowledgment, acceptance, forgiveness, understanding, faith, trust, worth, service and peace. Other example pages have poems or quotes or sayings in it. One of my favourites is found on December 29 where the following is given. The book in my estimation is fantastic. Iyanla puts down in writing many of her inner peaceful secrets and understandings of God. This a a great spiritual book that could be read first thing in the morning each and every day for years to come with new insights being found all the time. I highly recommend this book. Tags: devotional, book, 365 days, year, life, love, awareness, acknowledgment, acceptance, forgiveness, understanding, faith, trust, worth, service, peace, character, ego, integrity, honesty, strength, fear, compassion, disappointment, discipline, willfulness, equality, separation, appreciation, resentment, tenderness, rigidity boldness, bitterness, generosity, selfishness, optimism, inadequacy, excitement, embarrassment, gratitude, greed, love, ignorance. This is a beautifully produced book by Simon and Schuster with beautiful imagery and masterfully written by Baptist de Pape. He has interviewed eighteen spiritual leaders and scientists in combining his information in this book and the movie by the same title. The book contains more detail as the movie could only be an hour and a half in length as directed by Drew Heriot, also director of the famous “The Secret” movie. The book outlines more of the interviews that took place. For example, he was able to interview Maya Angelou for three hours and could not put all her valuable insights into the movie so some more information and quotes appear in the book. The power of the heart is the seat of the soul. The heart has a resonance that can be felt 8 to 10 feet away. Also the heart’s energetic field is greater than that of the brain. Thoughts and emotions physically change the heart and how it functions. The heart will tell you the truth of matters before your complicated ego can get in the way. The book is subdivided into three parts. 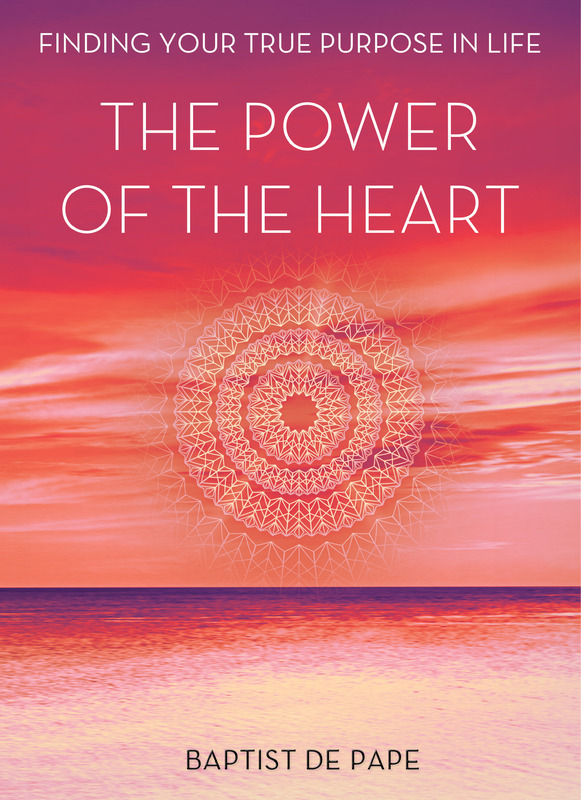 The first part deals with the “Paths to the Heart” and includes opening to your heart’s wisdom and living in the now. The second part deals with “The Inner Powers” and deals with everything from gratitude to creating authentic power and synchronicity. Finally, the third part deals with the “Heart in the World” dealing with forgiveness, money and resilience. The book is a well thought out spiritual reflection of current day knowledge and insights. The 18 inspirational international speakers and scientists have accomplished much and are among the leaders in their respective fields. To end, it is worth mentioning their names so you can see how impressive the leaders are in this book and movie. Isabel Allende, Dr. Maya Angelou, Dr. Bernard Beckwith, Dr. Deepak Chopra, Paulo Coelho, Dr. Joe Dispenza, Linda Francis, Dr. Jane Goodall, John Gray, Rollin McCraty, Howard Martin, Ruediger Schache, Marci Shimoff, Dean Shrock, Eckart Tolle, Neale Donald Walsch, Marianne Williamson, and Gary Zukav. Finally, I would like to mention that I have also seen the movie and would also recommend that both the book and movie are worthwhile ventures to new thought and spiritual seekers. Tags: Baptist de Pape, Simon & Schuster, imagery, beautiful, The Secret, Drew Heriot, power, heart, seat, soul, intuition, resonance, energetic field, brain, mind, thoughts, emotions, paths, wisdom, Inner power, gratitude authentic power, synchronicity, forgiveness, money, resilience, knowledge, insights, international.